More points means less pulp in juice. 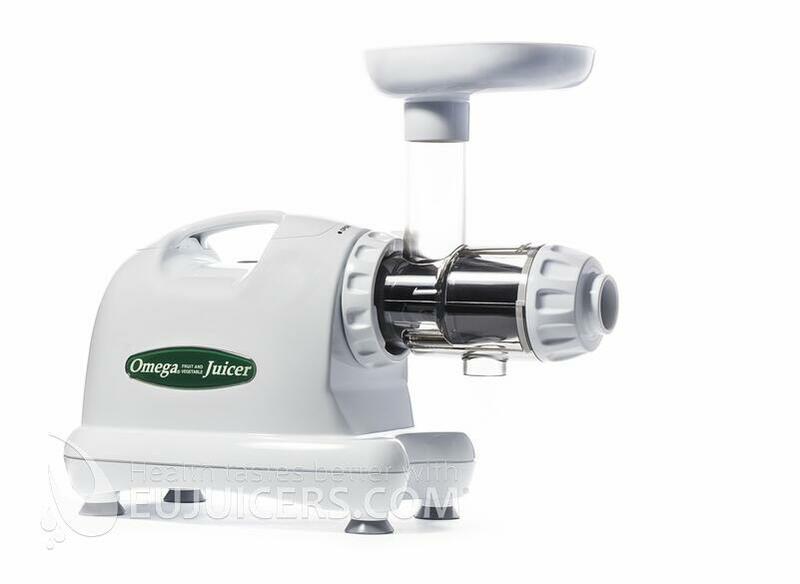 The Omega 8004 Juicer has the same patented 2 phase juicing screen system as the previous models. This system provides ‘the maximum’ pulp free juice. 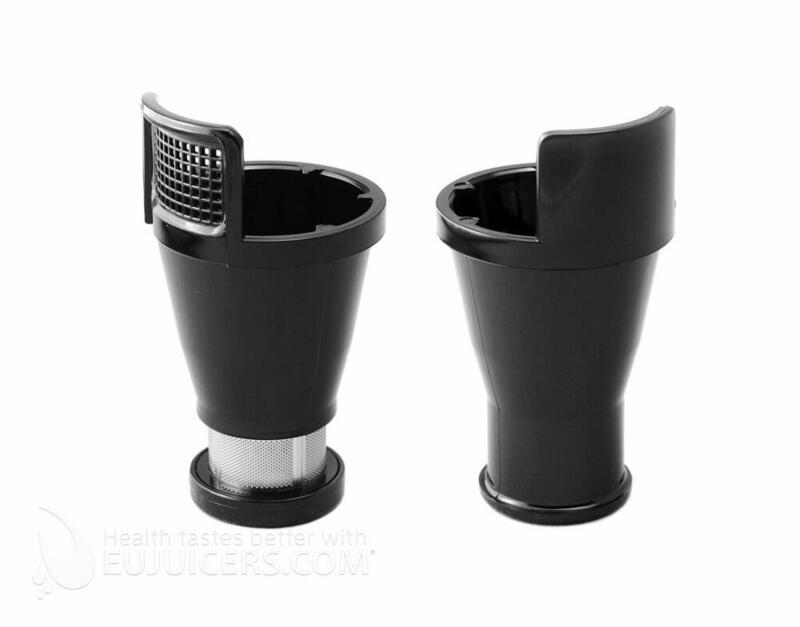 The patented design of the 3 phase extraction auger, juicing cone and drum creates a 'turbulent force' which results in maximum juice, increased vitamin content and minimum pulp. The white auger which is now made from harder material rotates at 75 to 80 rpm as opposed to the high speed, heat producing centrifugal juicers thus producing a living juice. 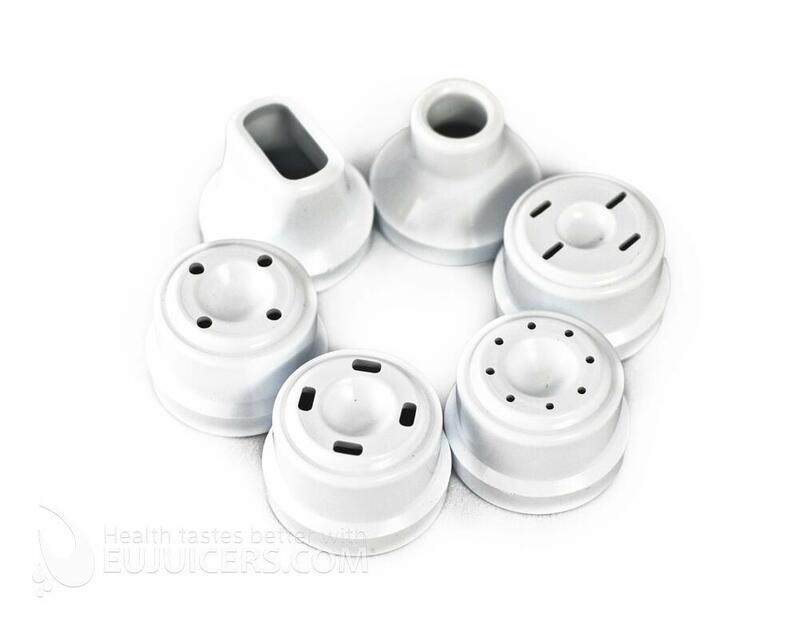 The careful precision juicing action of the 8004 means the juice retains up to 60% more nutrients than conventional juicers and a significantly higher volume of juice is produced. The Omega 8004 is an excellent, compact and universal juicer. The two-stage system has been very well-thought out. The feeding tube (38 mm) could be a bit bigger. In the beginning the juice from this machine is “fuller”, which is definitely not a flaw. The machine perfectly handles problematic produce such as gooseberries, grapes or currents. It also has a beautiful design, best seen in the chrome version (8006). The tamper stop with tightening works well – normal stoppers push pulp into the machine, but this pushes pulp and the juice. The two models 8004 and 8006 are identical except the 8004 is white and the 8006 is chrome. 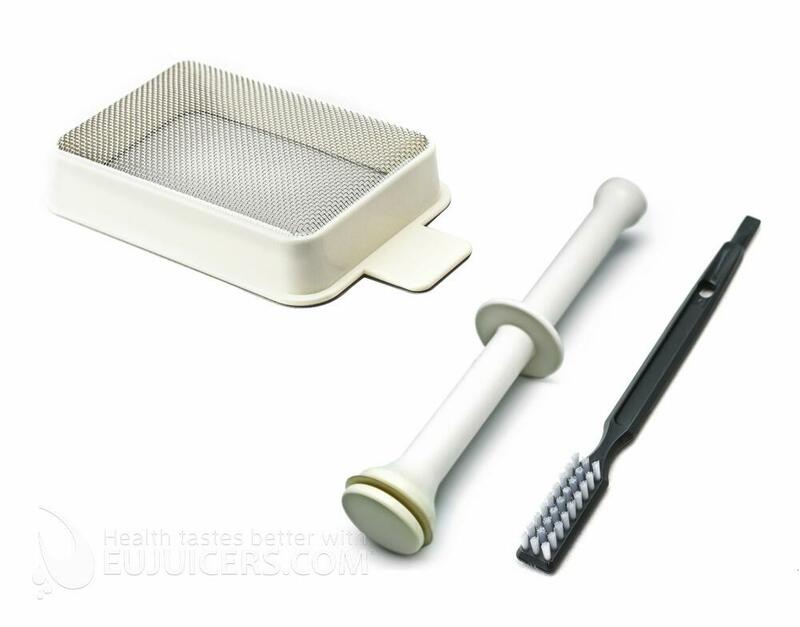 Cleaning brush for the Sana juicer EUJ-606. One additional year warranty for your juicer. We don´t send this product outside of EU, Norway, Switzerland and Cyprus. 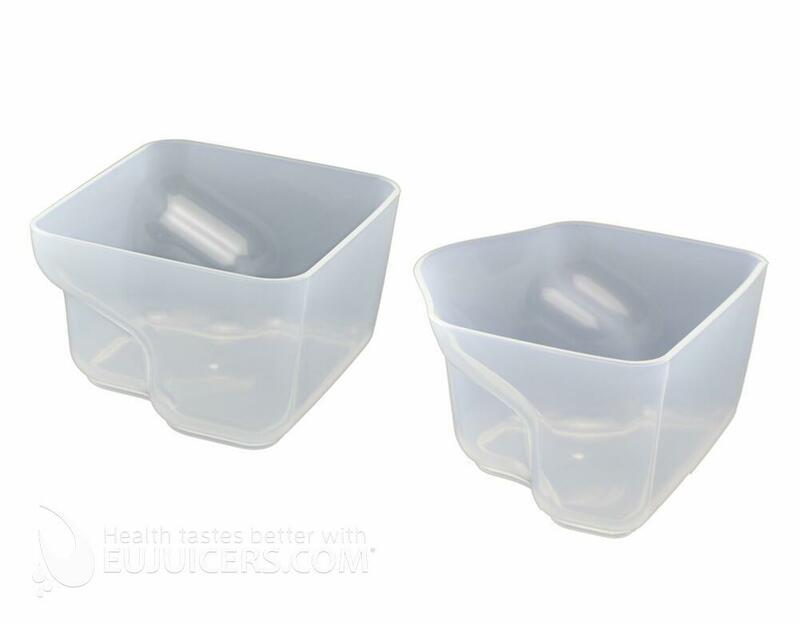 Value-priced set combines the Sana EUJ-606 juicer with the Sana EUJ-702 oil extractor.